In the early 1960s, Korea was striving to become a developed economic country following the terrible losses from war with the North. A single father (Kim Seung-ho (김승호) attempts to support his family as a ‘coachman,’ a laborious and poorly-regarded job pulling a horse and cart, yet his efforts are limited due to the rising number of cars and growing affluence of the middle-classes. His four children are also struggling. The eldest son is studying for his third attempt to pass a law exam, while his youngest is a thief; his eldest daughter is mute and suffers from domestic violence, while the other employs her looks in order to acquire a rich husband. With life a continual daily struggle and debts mounting, events transpire that serve to make it even more challenging. The Coachman is heralded as one of the great cinematic achievements in Korean film history, and it’s a distinction that is wholly deserved. Director Kang Dae-jin’s tale of familial strife during a period of enormous social and economic upheaval is absolutely brilliant, and is a landmark not only in regards to superb storytelling but also in capturing the spirit of the era. 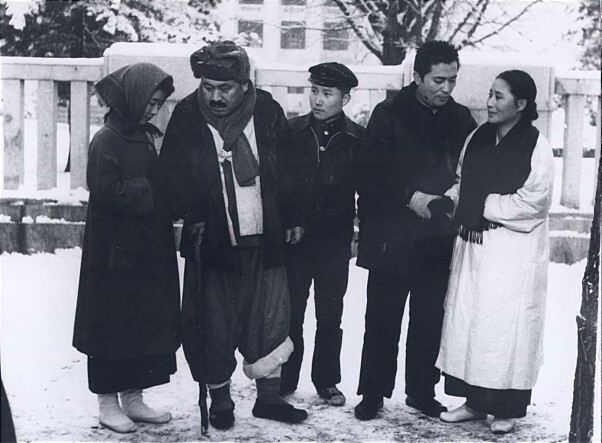 Furthermore, the Silver Bear Jury Prize was awarded to the drama at the 1961 Berlin International Film Festival, marking the first time for a Korean film ever to win a major trophy overseas. In its portrayal of a country in the midst of enormous social and economic development, The Coachman is strikingly effective. 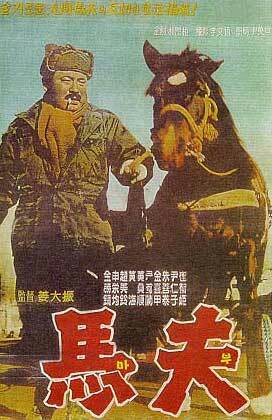 The film opens with the coachman’s youngest son, a student and part-time thief, as he is chased for stealing a bike. As the young man weaves through the streets towards his neighbourhood, the cinematography beautifully captures the central issue of the story as the houses transition from affluent middle class abodes to traditional hanok houses, which then give way to slum-like homes built of scrap material. Director Kang wonderfully articulates the sense of a country struggling with modernity and hardship through the very streets themselves, portraying the fraught class system and living standards of the period during the simple yet incredibly effective sequence, managing to be both equal parts riveting chase as well as a stunning historical lesson. The economic hardship of the era is insightfully explored through the life of the titular coachman. With automobiles an increasingly common occurrence due to the rising wealth of the middle classes, the coachman finds his occupation gradually becoming more and more irrelevant and as such supporting his family presents an enormous challenge. His employers are characterised as fat, lazy, and unspeakably greedy, with a thoroughly selfish streak that halts them from acknowledging the difficulties of their workers or in taking responsibility. With little other choice the coachman regretfully appeals for aid from a private lender, who hounds them daily about repaying debts. Through the burdens and misfortunes of the coachman the film is a rather scathing indictment of the economic changes in ’60s Korean society and those being left behind, yet his indomitable spirit and desperation to continue working are powerfully uplifting, with the character a fitting metaphoric tribute to the strength and resolve of the lower classes during the era. By extension, the suffering endured by the coachman’s children is of particular import. Each member of the family represents societal issues from the period and the different manners in which the populace attempted to cope with the dramatic changes occurring in the peninsula. The eldest daughter, who is mute, is married to a vile abusive man through an arrangement with her father (and the film’s only reference to the war). Such a union should guarantee the daughter a life of comfort, yet her suffering is indicative of the terrible treatment women and the disabled were forced to endure at the time. Tremendous pressure is heaped upon the eldest son who is studying to become a lawyer, yet after two failed attempts the outlook is grim. As such he intends to follow in his father’s footsteps, which would ultimately continue the cycle of poverty for the family. The youngest daughter attempts to use her appearance and deception in order to acquire a wealthy husband, marrying out of the class mould in which she she born. The youngest, and largely ignored, son is a thief often in trouble with the law. Each sibling is desperate to evade the economic hardships of the era through the means available to them, with each representation a powerful portrayal of the societal desire to not be forgotten or abandoned during the rapid modernisation of the country. Yet while the drama is a provocative account of Korean society in flux, The Coachman never succumbs to brooding pessimism. The film is consistently hopeful and entertaining through the ever-say-die attitude of the family, and in particular the charismatic performance of Kim Seung-ho as the father. His jovial character, even when presented with enormous hurdles, is infectious and continually rousing, while his attempts to woo his employer’s housemaid are witty and incredibly enjoyable. 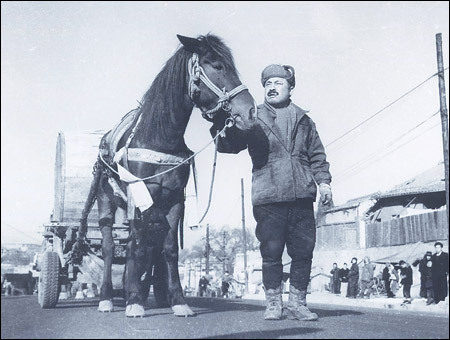 The Coachman ultimately presents a family tale of terrible economic hardship yet with a genuine charm that can be attributed to the indomitable spirit of the characters, and by extension, the people of Korea. The Coachman is undoubtedly one of the great cinematic achievements in Korean film. With his insightful and provocative exploration of the economic hardships facing Korean families in the 1960s during a time of rapid development, director Kang Dae-jin has created a stunning masterpiece that unequivocally stands the test of time. 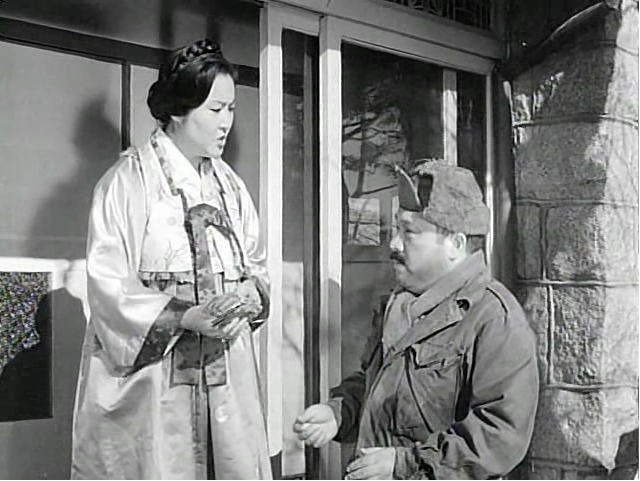 You can watch The Coachman for free on youtube here, courtesy of the Korean Film Archive.